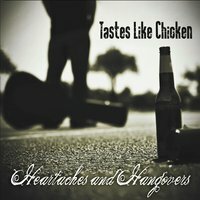 Florence based rock band Taste Like Chicken released their sophomore album Heartaches and Hangovers June 30th. This band blends a lot of different styles together to create something new and interesting, yet familiar… maybe that is why they are called “tastes like chicken”. The album is produced well and every track is strong and deserving. Once again, the new but familiar sounds keep you captivated throughout your listen. As the title suggests, it seems like the subject is breakup followed by alcohol consumption. To no one’s surprise that is exactly what the album is about but don’t let that fool you – each song is upbeat and energized. The content is heartbreaking but the music is not. You will love each track one after another as it pulls at the all too familiar heart strings we have all had snipped by a lost lover. Bobby Roberts Jr. leads the “Give me more Sax” revolution. 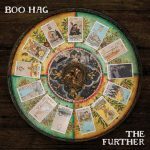 His soulful playing is a staple on almost every track and adds another layer of warmth that makes you wonder – why doesn’t every band have a sax player? Despite the sad nature of the lyrics I fell in love with them. Every word hits close to home with anyone that has loved and lost… and drank. 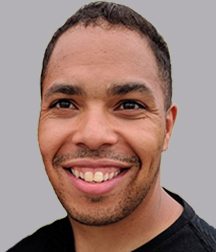 Lance Shirley has a voice of his own that effectively matches the content. I hate to draw comparisons but Lance sounds like Patrick Murphy from Gaelic Storm, an Irish Rock band that sings about drinking and lost love – sound familiar? 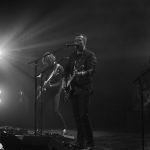 Either way his vocals are perfect for this style of rock and with a harmonizer like Chad Shirley, you get an unbeatable wall of sound. The rest of the band are perfect with their execution and are clearly the bedrock of the group. They sound polished and blow all expectations out of the water with this only being their second album. They have clearly mastered the sound they are trying to activate and now they are having fun with it.